Photo above: This picture was taken by a team of high school students to document a water quality test site at Carmel River State Beach. Over 100 students have tested the water here this year. Their data are added to a Watershed Health Database. This will help us track the impacts of human use on the Carmel River — an important habitat for steelhead trout. This river may sound like a complete fantasy, but it isn’t. The reality is that the waterways of Monterey County once supported an annually returning steelhead population of 25,000 adults, swimming from the ocean up rivers and creeks to spawn and lay their eggs, but in the drought years of 2012 to 2017 only 500 were counted. Steelhead trout are now federal threatened or endangered in most of state, and the California Department of Fish and Wildlife has estimated that 45% of all steelhead statewide will die out in the next 50 years. What could have caused such a spectacular collapse of a species? The answer, unfortunately, is us. Human activities have dramatically affected steelhead habitats. The story of the steelhead isa conservation issue and a cautionary tale. Watershed Guardians opens the door for students to discover this story. It empowers the next generation to study and steward the health of our rivers and it gives students hands on skills that can guide them toward careers in the sciences, all while supporting researchers who are actively designing sustainable solutions for the future. Our freshwater resources are the lifeblood of our communities and the way we manage those resources shapes our way of life. If you live on the Monterey Peninsula and drink 8 glasses a water a day then about 7 of those (over 80%) are filled with water from the Carmel River Watershed. Even more staggering, the Salinas River Watershed sustains an agricultural industry that contributes around 8 billion dollars a year to the county and employs 1 in every 5 working people who live in it. No one has more at stake here than the next generation, and that’s why Watershed Guardians gives students the opportunity to step into a crucial role as community scientists: non-professional, volunteer researchers from the community who contribute their findings to support real scientific work and discoveries. By measuring depth, temperature, and how fast the water is moving, students look for the impacts of water overuse, dams, climate change and drought. By testing the amount of salt and oxygen in the water, students are on guard against the deadly impacts of algal blooms and saltwater intrusion. By testing turbidity and pH to determine how clear and how acidic the water is, students search for evidence of erosion, habitat loss and wastewater runoff from sources of pollution like landfills, septic fields, agricultural products and even wastewater treatment plants. 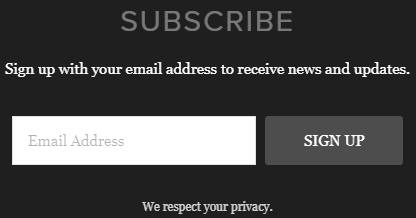 In order to know how to fix something you need to know what’s wrong in the first place. That’s where the Watershed Guardians Program comes in. By sampling at 6 different sites along the Carmel River students are able to observe subtle differences in the river over time, giving them a rare chance to see how much this river changes throughout the seasons, how it is affected by human activity and how it is recovering due to efforts to bring it back from the brink of collapse. The history of the Carmel River is a history of human impact. From early 20th century efforts to clear its floodplains and irrigate them for orchards to decades of overdrawing from its aquifers, the Carmel has seen its share of adversity. However, restoration efforts in the past 30 years have made incredible changes to this delicate habitat, and with the removal of the San Clemente dam in 2015 the steelhead are now making a comeback but they still face many threats; invasive species, to the remaining Los Padres Dam, rising water temperatures, lower rainfall, and pollution. The future is looking better and better for the Carmel River, but only if we continue to work hard to preserve it. Students testing the river can think of themselves as doctors performing a checkup on a recovering patient, but they are also protectors, keeping a watchful eye out for new threats to the health of the river and the species that rely on it to survive (including us). 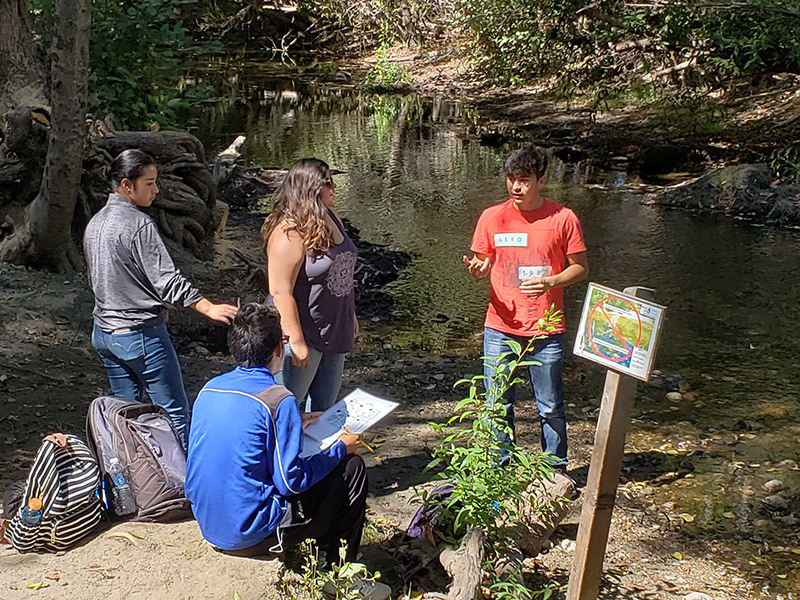 Watershed Guardians connects students to the Carmel River by taking them out of the classroom and into the field to show them firsthand how their actions impact the world around them. This research is being made freely available to the public so that scientists actively working to find solutions can have as much information to work with as possible. There are a variety of groups working to monitor and preserve the health of the Carmel River, community science participants can monitor more frequently and collect more data than any one organization. Students from communities on the Monterey Peninsula, the Salinas Valley, and beyond can learn a lot from the story of the steelhead and their continuing recovery on the Carmel River. It teaches us human impacts have made many waterways in Monterey County inhospitable to steelhead trout and this represents a threat to our own future. It also teaches us that a healthy river is more than a memory or a fantasy, and that it isn’t too late to discover, study, restore and preserve your very own river, creek or stream for generations to come.